When you are about to move a house, you want to know that all bases are covered for your removal. Our home movers in Stoke Newington, N16 know exactly how to get your removal sorted. Whether you have a tight budget or a great number of items to move, we can help you work it all out. We can assist with planning, and finding a way to get the job done safely and securely. If you need a stress-free move, then we can provide you with it and get your items safely to your new place. If you need an additional man and van service around Stoke Newington, we make sure that these smaller problems are no longer issues. There can be nothing worse than getting stressed and worried about your home removals, and that is why we offer our reliable services. Our time in the business has made us aware of every little issue that can arise, as well as how best to avoid it. With this experience, we can then bring ideas to your own move, and make it smooth and easy. Your home movers in the N4 area need to be polite, efficient and careful. We have an amazing team of employees who can live up to your expectations, so call Moving Service today on 020 8746 4402. It is an area in the north of London. 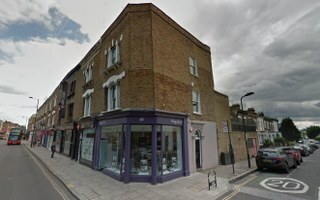 It is in the London Borough of Hackney, and sits directly north of Dalston, centered on Stoke Newington High Street and Church Street. The area is now considerably gentrified, potentially due to the radical background of the area meaning that many settlers there had cultural interests. This in part led to many independent and more interesting establishments, which naturally attract the wealthy middle classes. The region also has a lot of open spaces in the form of reservoirs, and Clissold Park, which by no means dissuade those looking to settle somewhere nice with their families. The area’s anarchic past extends to the prevalence in the 1960s of squatters and communists living in the district. Man and van services in Stoke Newington, N16 are part of what we do as a moving company. If you are concerned that you don’t need a full-size domestic removal in the E5 zone, then give us a call. We know that the cost can often be an issue as well. The price that we offer on house removals is always competitive. Our man with a van service is a great way to save money as well. You simply need to work out how much help you need from us. We can offer extra hands on the job for a small additional fee. When you are looking for the best move in the N16 area, you will find that you always get the best value for money from Moving Service. We are well respected as the best removals team in London, because we always get the best results. No matter what you need, you should get in touch with us on 020 8746 4402 to learn about how we can make things work for you and your budget!